The Kansas City Bungalow Club celebrates and advocates for all of Kansas City's residential architectural heritage up to the 1940's. With a special emphasis on bungalows and the Arts and Crafts style, we are also dedicated to the enhancement and preservation of the area's many early neighborhoods. 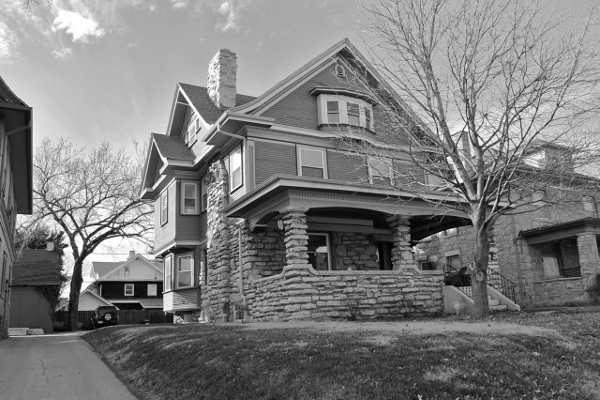 We are proud recipients of the Historic Kansas City Foundation's "Proactive Preservationist" award for 2005. 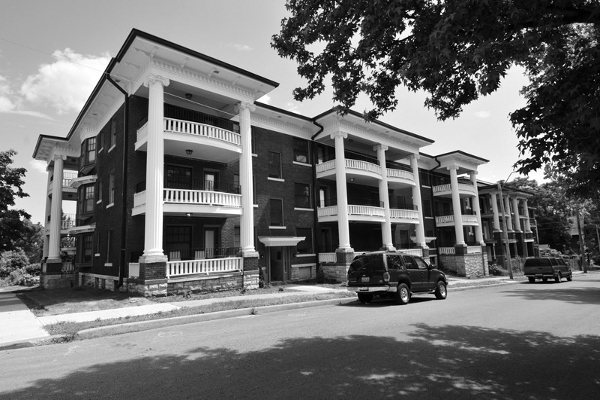 Back in 2003, the Kansas City Star issued a series of articles on what they deemed to be four key examples of residential architecture in the city, and while these four examples (Victorian/Queen Anne, shirtwaist foursquare, colonnade apartment, and ranch house) abound throughout the metropolitan region, one residential type was conspicuously absent: the bungalow. 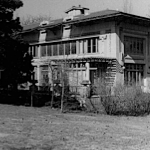 Kansas City flourished during the early decades of the 20th century, and thousands of bungalows were erected. These modest yet elegant dwellings were the childhood homes of many people, and their seductive charm persists today. 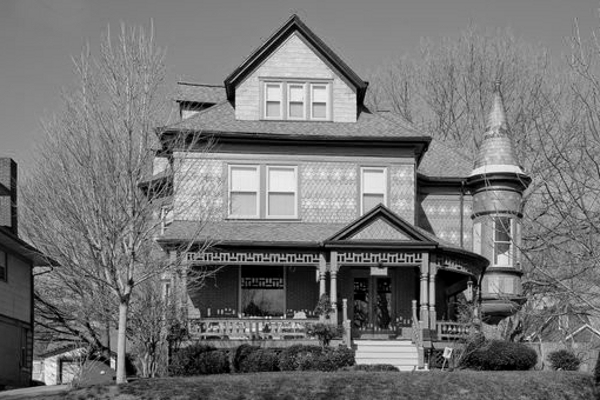 The Kansas City Bungalow Club was formed in late 2004 as both a challenge to many experts' willful ignorance about the importance of the bungalow in Kansas City's architectural history and as a way to celebrate their renaissance as a treasured building type. The bungalow's simplicity coupled with stylish design still has much to say today in the era of diminishing resources and the prevalence of "cookie cutter" houses in other parts of the city. Our original focus was on bungalows, but we have recently expanded our horizons to include all types of architecture from the mid-nineteenth century up until World War II. These building types make up most of the core buildings of Kansas City and are being rediscovered by people who value their beauty and historical importance. Do I have a bungalow? A traditional bungalow is a small one or one-and-a-half story house that was built between 1910 and 1930. They have a low-pitched roof and a horizontal orientation. They usually feature a prominent front porch. The roof frequently has a wide overhang with exposed rafter tails supporting it. Sometimes angled wood brackets supported this overhang. Pretty simple. You'll notice that one thing not mentioned is style. 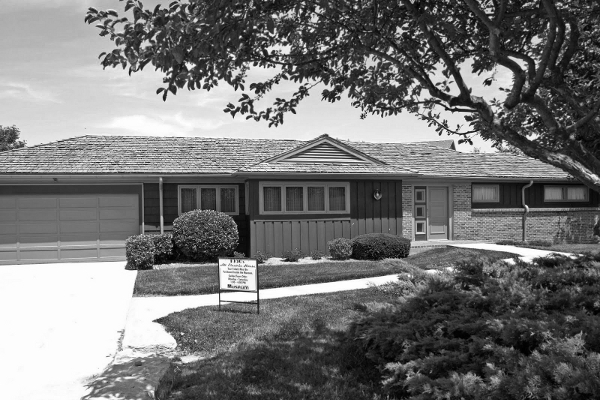 Bungalows in every style, from Arts and Crafts to Colonial, can be found throughout Kansas City - just look at some of the houses in our "Gallery" section to see the wide variety of styles found in bungalows. Kansas City is also home to a special variation that's seldom found elsewhere in the country - the "airplane" bungalow. Airplane bungalows feature a second story addition at the rear that originally housed a sleeping porch lined with operable windows. If you've spent any time in Kansas City, you know that the summers can be stiflingly hot, and trying to sleep in a house without air conditioning made sleeping porches, with their natural flow-through ventilation, an understandable adaptation of the bungalow housing type. Some people call this part of the house the "cockpit", while others think that it resembles an airplane's tail - however you think of it, the name "airplane" bungalow seems obvious.